Companies running on traditional method may find a hard time sustaining for long period in today’s continuous changing market. Industries are required to focus on automation of internal structure to reduce stress on an employee. The big enterprise deals with a large number of data. Their sale funnel is always filled with the pile of sales data. To utilize this data, you need to have the system that sorts this information in useful reports. Misconducting this data may cause huge loss to the organization. You never know, there might be big opportunities lying on the table but you never noticed it. The better solution to avoid this entropy is having the right amount of automated sales funnel in your business. 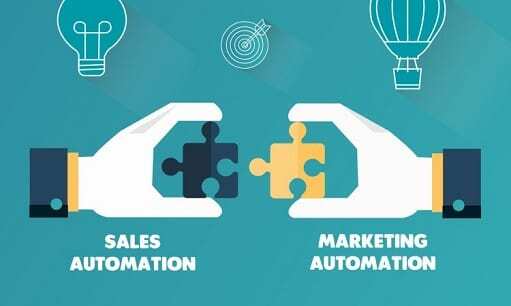 There are numerous ways you can make the sale process automated. Here are some of the sales strategies you can consider for your business. Your customer might have shared their email id with you when they signup for your service. Emailing is the effective channel to reach your customer at the right time when the conversion is most predicted. Collect the data from your development team and integrate it with the best-known email service provider. Choose the email service provider whose success rate in sending email to the client inbox is high. The next step in the process is noting down the occasions when you will send the email to the client. Find out the common event that happens every year. It might be holidays, festivals or some other inspiring day when you can approach your customer with the discount. Connect the discount email to the event. People who will receive your email will feel the happy to get the discount on your product. For targeting holiday season you can send the email earlier so that people will have sufficient time to opt for your service. Now once you have done all the research and set the final event. The final step in the process is making it automated. Use the advance system to automate the process to avoid any human interaction. Sometimes human interaction delays the process. so try to add as much as automation to the process. The 100% automation might not be possible. Especially in the designing of the email. But there will be many steps where you can take help of coding to smooth the process. Email automation works best in many industries. It has a high success rate in the conversion compared to other marketing techniques. This is the most undervalued feature of sales automation. The companies are not focusing on making their customer dashboard more advance. I believe if the dashboard is optimized properly by keeping user experience in mind then this will make your sales funnel automated. Your customer visits the dashboard all the time when they are choosing your product to buy. This is the most important place for your customers. They track order, see the status, check the past order and get access to their invoices. The dashboard is the place where you have multiple things in place to educate the customer. Use it as a platform where people can spend their most of the time to find the important industry related news. People love to read content shared by the expert in the industry. You can also give them a discount for doing some social activities like sharing your page on their social media page or with friends. These kinds of engagement activities help you build the relationship with your customers. Also, you get exposure in their network. Focus more on optimizing customer dashboard. Remove unwanted things. Find some creative ideas to engage your customers. The well-optimized dashboard will boost your sales and drive more customers. Setting a yearly paid marketing goal will make your campaign automated. Hire an agency which will run the campaign for the set duration. You can pre-plan the paid marketing campaign on the basis of the research data. There are many online and offline marketing platforms available nowadays that generate a good number of leads. Offline marketing may require having human interaction, but for online marketing, you don’t need to have a big team to manage it. Everything in online is managed by certain tools which make the use easy. A paid marketing campaign on Google AdWords can run on the automated sequence once it is set. It requires little management after you are done with initial optimization. While working on the paid campaign for brand Mddir, I have run the yearly plan to make it automated. It went well and generated a good amount of leads without spending much time on it. The benefit of paid campaign automation is it requires minimal human interaction. You do not need to spend time on looking at the sales funnel. It will automatically get filled with the paid marketing activities. Your sales team will have a sufficient amount of leads to process. In addition, the online paid campaign is data-driven. It means you will get all kind of data to analyze. You can have the monthly meeting with your team to understand the progress of the paid marketing. The paid marketing is easily trackable and can optimize online for better performance. You can also increase or decrease your budget instantly according to the requirement. This seems difficult in most of the case, but if it is handled properly you can automate it. The best way to automate the human management is having the KRA (Key Rating Area / Key Performance Area) in the place. Let everyone in your organization know that they have certain KRA in place. Each of the employees has to reach the defined goal in the given time period. This is very important for having the strict structure in the company. Everyone will have defined task. Your employee will know where they have to reach. Although, the management structure will not work unless you have strong HR team. KRA will help you to structure the internal management and it will provide you data at the end of each month. The final verification process should be done by HR. The HR should work independently in the organization. The HR head must have the ability to analyze the data to rate each employee on the basis of their performance. He/she should keep eye on each individual working in the organization. The score should be given on the basis of the outcome employee produces. The right training and continues upgrade in the HR process will make the management automated. Automation is essential for growing faster in industry. Running organization in a traditional way will not help you speed up the growth. Avoid human interaction as much as possible and adopt new technology to upgrade your system. Next Post:Secret Tricks That all Social Media Users Should Know.